*This article is regularly updated with the latest ransomware statistics for 2017 – 2019. We’ve compiled 40+ ransomware facts, figures and trends along with a round-up of predictions from industry experts at the bottom of the article. Ransomware. At one point just a buzzword, ransomware is now an all-too-real threat to businesses, governments, and individuals worldwide. The problem with ransomware is twofold. First, ransomware is designed to completely encrypt a victim’s file system, potentially causing an irreversible loss of data. Second, an increasing number of cybercriminals are utilizing ransomware to extract money out of victims. Some surveys have shown that ransomware losses for businesses can average $2,500 for each incident, with businesses willing to shell out upwards of $50,000 to decrypt their data. The threat is only growing, as numerous surveys and research studies have shown. According to Dimension Data, ransomware attacks worldwide rose 350 percent in 2017 over the previous year. All of this is proof positive that ransomware continues to be an extremely lucrative venture for cybercriminals, with the average attack from all sources (businesses, governments, and individuals) yielding an average $1,077 for criminals. To get a better idea of what the ransomware landscape looks like, we’ve gathered some of the most interesting facts and statistics from 2016 to present that highlight this ongoing security concern. Given the whole purpose of ransomware is to extract money from victims, total loss values are often the numbers people care about the most. In 2016 and 2017, an increasingly large number of businesses, governments, and individuals faced huge losses thanks to ransomware. We’re already seeing huge losses to institutions in 2018 as well. While many chose not to pay the cost (and indeed, most security professionals say paying is typically a bad idea anyway), those that do pay up often find their files remain encrypted. After all, placing trust in the good graces of criminals is often leads to disappointment. Even worse, most ransomware creators demand payment in expensive cryptocurrencies, chiefly Bitcoin. With current trends, loss values for 2018 are likely to exceed what we’ve seen in the past few years. Nevertheless, cybercriminals not only walked off with more money from ransomware in 2017, they also caused far more damage than ever before. The hard truth about ransomware is that knowing more about the threat doesn’t easily translate to a decreased impact. FedEx is a good example of this. Despite knowledge of the threat for years now, the company saw a $300 million loss due to ransomware. The loss was not a result of paying the ransom but primarily for the cost of disaster recovery and system downtimes. The company’s lack of cyber insurance highlights the fact that many individuals and even large, multinational businesses have yet to fully grasp the threat. As for readiness for ransomware and other cyber threats, a recent survey of IT professionals found that those working in the healthcare industry were most likely to report a lack of preparedness for an attack. Over 50 percent believed their industry simply isn’t ready to handle the threat. Nevertheless, as more reports roll in, it’s clear that ransomware is now the preferred medium of choice for cybercriminals. As 2018 continues to progress, we’re likely to see reports from major players indicating that year-over-year growth in ransomware threats are increasing at an almost unheard-of pace. That being said, here are some of the ways ransomware hit hard and fast in the past two years. There was a 300 percent year-over-year increase in ransomware attacks between 2015 and 2016, from 1,000 attacks per day to 4,000. (Source: U.S. Justice Department). Unfortunately, ransomware isn’t going anywhere fast. Cybercriminals have learned just how lucrative encrypting data can be. Other forms of security threats still exist, data breaches in particular, but criminals who want to extract an easy buck are regularly turning to readily-available ransomware packages. 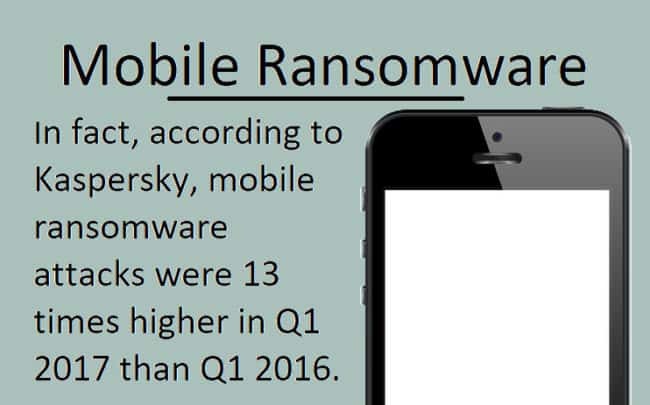 According to McAfee, ransomware grew 56 percent in the past four quarters. So what can we expect in 2018 and beyond? Here are a few predictions.